<< Test First Name >> The Recycle Right August Newsletter - Recycling, Compost, Worm Farm Winners! 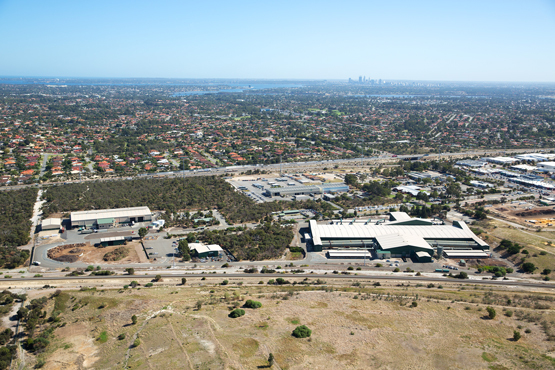 Pic: An aerial view of SMRCâ€™s Regional Resource Recovery Centre in Canning Vale. The WCF can be seen on the bottom right. The innovative composting process of the Southern Metropolitan Regional Councilâ€™s (SMRC) Waste Composting Facility (WCF) was featured by Science Network WA in their weekly news. The story detailed how the WCF produces more than 20,000 tonnes of compost a year and in doing so diverts 46,400 tonnes of garbage from landfill. SMRC Chief Executive Tim YouÃ© explains how the composting process, which recovers the contents of green-topped bins, has a positive environmental impact. â€œThis process prevents 32,000 tonnes of carbon dioxide from entering the atmosphere each yearâ€”equivalent to taking 7000 cars off the road,â€ he said. The composting process uses large scale machinery and technology including a large indoor tipping floor, large digestors, and a temperature controlled aeration building. The WCFâ€™s four digesters are the largest in the southern hemisphere. 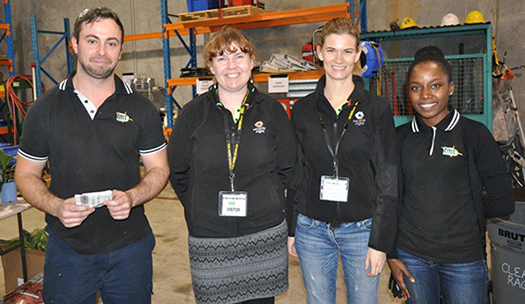 In addition to the tours of the Regional Resource Recovery Centre, Recycle Right offers presentations and incursions to businesses and organisations that want to reduce their waste footprint or find out more about sustainability and recycling. Recently Education Officer Emma Baker and Community Engagement Officer Chloe Rothery attended Total Marine Technology and passed on some tips to the team about recycling right. Yes. Polystyrene or Styrofoam, including beads used in bean bags, cushions, packing beads, canâ€™t be recycled if placed in household bins. Instead drop it off at CLAW Environmental in Welshpool. If you have Polystyrene or Styrofoam meat trays that are contaminated with lots of blood, place them in the green-topped bin along with the absorption pad. For your A-Z of recycling, visit recycleright.wa.gov.au or download the app. Billions of plastic straws are used across the globe each year. Almost all straws are used just once, often for a matter of minutes, before being disposed of. Straws are rarely recycled and often end up in landfill â€“ or worse, as litter which harms marine life. Plastic waste accounts for 90% of litter floating in the worldâ€™s oceans. Refuse â€“ Go straw free. Replace â€“ Use reusable glass or metal straws. 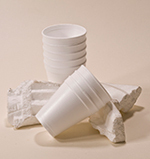 These alternatives are readily available and will greatly reduce your waste footprint. 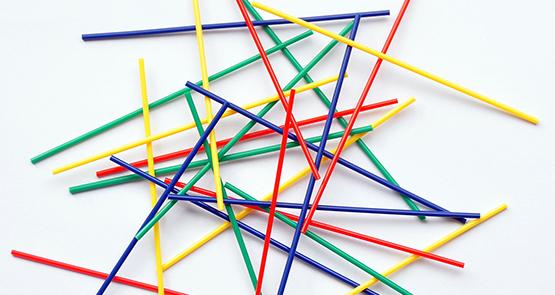 Paper straws are a more environmentally friendly option if reusable versions are unavailable. Discuss â€“ Let cafÃ©s and stores know why you donâ€™t want a straw and encourage them to find alternatives. 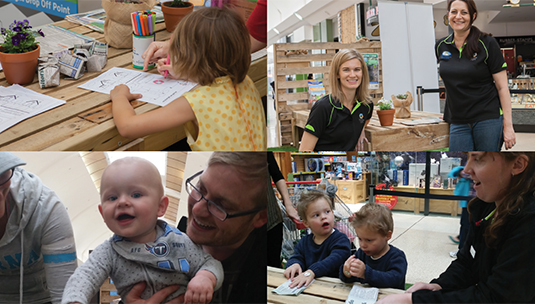 In August the Recycle Right team, in partnership with the City of Melvilleâ€™s Piney Lakes Environmental Education Centre, ran four days of activities promoting recycling and sustainable living at Garden City shopping centre. Many kids (and adults too) learnt how to make an origami seed pot from recycled paper. Participants filled their pots with soil donated by Nutrarich and then planted a vegetable seed to take home. The activity provided the perfect platform for the Recycle Right team to explain that the contents of green-topped bins are processed to make compost. They also reminded people of the importance of putting the correct items in each bin to ensure that contamination does not occur. Look out for our team running more free sustainable activities at this yearâ€™s Perth Royal Show in September/October. Pics : Left: Carolyn Ryder & Leanne Merchant of St. John of God Murdoch Hospital. Right: Staff & volunteers. 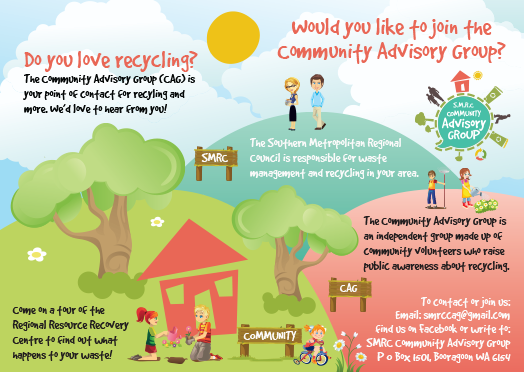 Itâ€™s always great to see passionate members of the community creating their own initiatives designed to encourage recycling at home or in the workplace. Itâ€™s a perfect way to spread the â€˜reduce, reuse, recycleâ€™ message and to come together as a team. 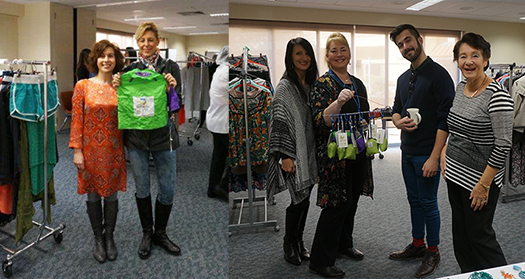 Recently, St John of God Murdoch Hospital ran a successful â€˜Clothes Swap Dayâ€™ with hospital staff and volunteers. The event came about following staff requests for an opportunity to clear out their wardrobes and use a token system in place of cash. A committee baked for the hospitalâ€™s charity of the year, Headspace, and raised $378 through a gold coin donation morning tea. In honour of Plastic Free July, the event was plastic free - using china cups and recycled and reusable carry bags to take home treasures. â€œAs a result of the event, Murdoch is going to focus on all future decommissioned assets to ensure that they are donated to a community group or not for profit wherever possible, to divert resources away from landfill. Recently (last week) we donated an Andrewâ€™s Operating bed to Australian Doctors for Africa who had a place for it in Madagascar where they are refurbishing a hospital,â€ organiser Carolyn Ryder said. This was a great team effort with many positive social and environmental outcomes - not only locally but globally. Well done! CONGRATULATIONS - WORM FARM WINNERS! Weâ€™ve given away two worm farms this month to a lucky reader of our eNewsletter, Charlie van Sittert, and to Jane Balcombe, who attended our Garden City activities. Worms are a great way to deal with kitchen waste - theyâ€™ll eat most scraps and produce a high-quality liquid fertiliser. Natural, inexpensive and really good for the environment! 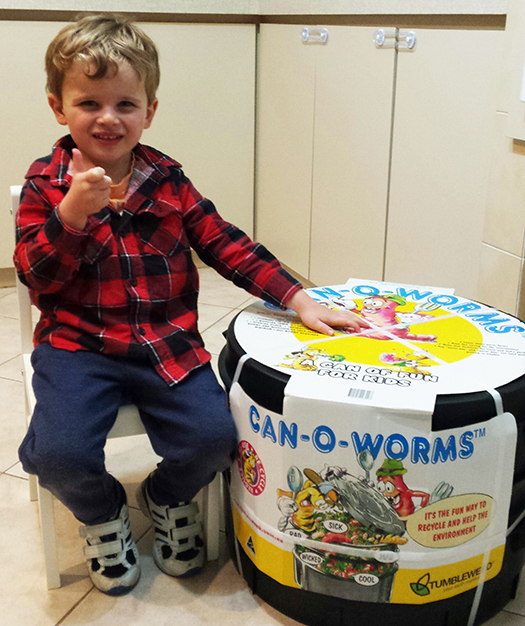 Charlie (3.5 years), already a keen composter, was rapped with the prize and was keen to start getting it working. Congratulations to Charlie and Jane and happy farming! 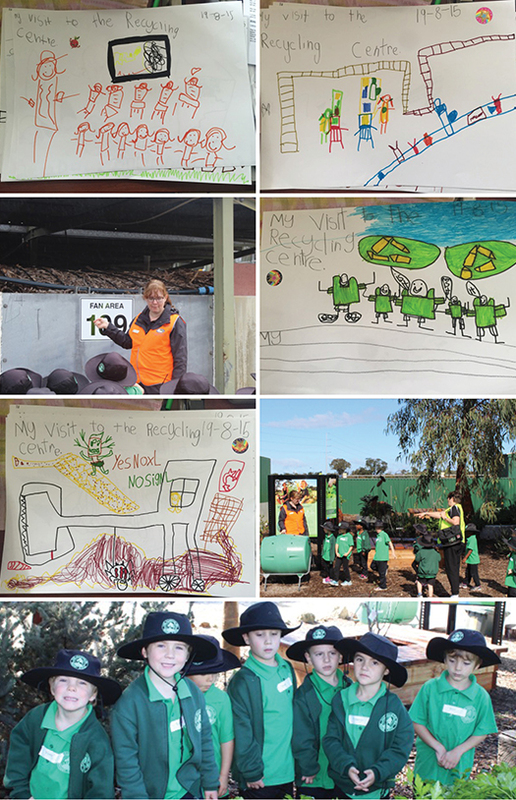 Students from East Hamilton Hill Primary School recently visited the RRRC in Canning Vale. The children were able to learn about the importance of recycling, waste recovery and sustainable living. All participants were inspired and sent us some excellent illustrations of the facilities. 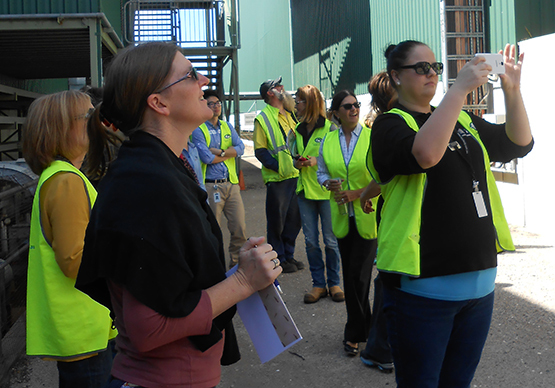 Our school tours take approximately 1.5 hours and include a look at waste being processed at our state-of-the-art facilities from safe observation decks. We also walk through the on-site Banksia Woodland and Community Garden. 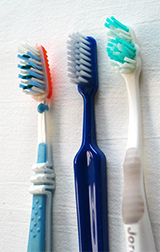 Used toothbrushes cannot be recycled and should be placed in your green-topped bin for disposal. You may have noticed some fresh Recycle Right branded waste trucks travelling around the City of Cockburn. Weâ€™ve created some colourful adverts to spread the Recycle Right message far and wide. Each truck has an essential tip to encourage recycling which will make a big difference to resource recovery and the environment. All vehicle messages target a common mistake made by households and provide a simple solution. These adverts join a fleet of branded waste collection trucks in Fremantle and Melville, and a suite of buses in the southern metropolitan area.